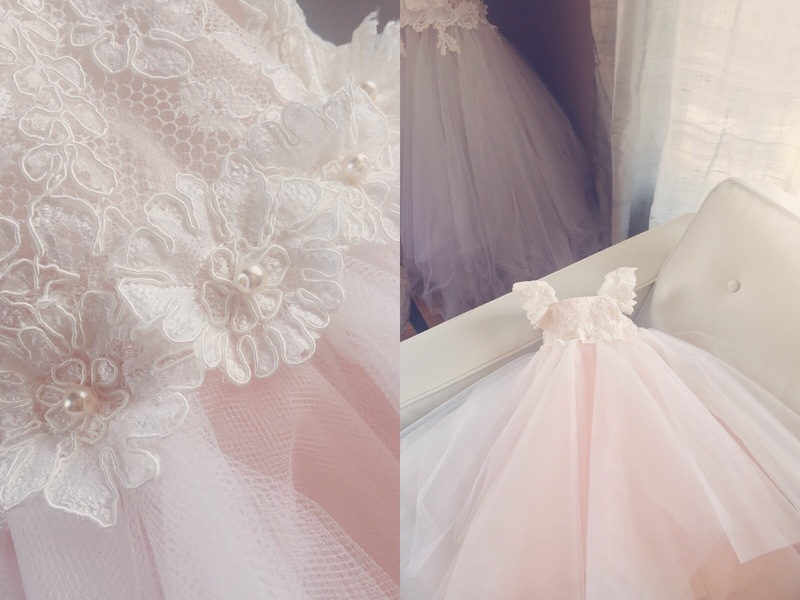 Today I’m sharing a look at a very special custom gown, designed for a very special little lady. Later this year, my sister-in-law Janna will be welcoming her first daughter, Logan Kai, into the world…and I can’t wait to be an Aunt! 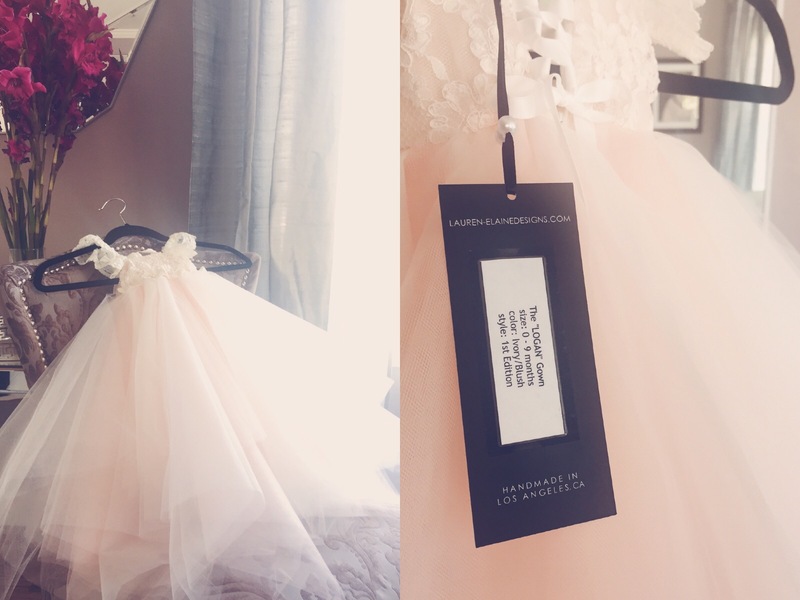 I also couldn’t wait to start playing dress-up and dreaming up all things ‘Princess’, so in celebration of her birth, we’ve designed Logan’s first edition ‘Lauren Elaine’ gown. 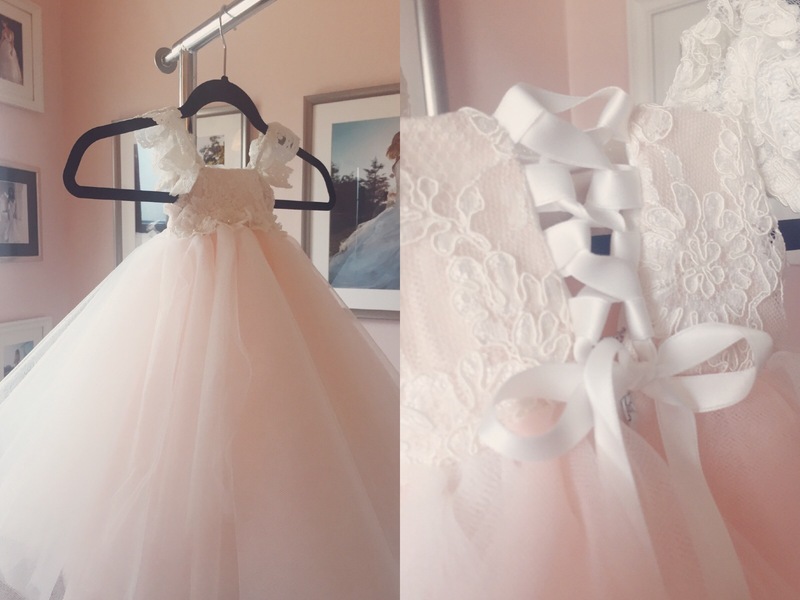 Complete with my favorite lace appliqué and pearl detailing, here’s a peak at this decadent blush and cream tulle confection…the first of many. Many moms will want this dress! Logan is one lucky little lady!